Elevated C-reactive protein (CRP) serves as an independent biomarker for acute and chronic inflammation, and is also associated with metabolic diseases. Genomewide loci regulating CRP level in Indian population, a high-risk group for metabolic illness, is unexplored. 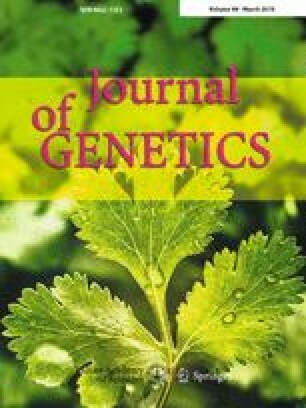 Therefore, we aimed to discover common polymorphisms associated with plasma CRP level in 4493 Indians of Indo-European origin using genomewide association study. Genomewide strong associations of two known intronic variants in hepatocyte nuclear factor-\(1\upalpha \) gene (HNF1A) were identified among Indian subjects. We also detected prior associations of several variants in/near metabolic and inflammatory process genes: APOC1, LEPR, CRP, HNF4A, IL6R and APOE with modest associations. This study confirms that Indians from Indo-European origin display similar core universal genetic factors for CRP levels. Members of the INDICO consortium are listed in the supplementary material. DB designed the study and overall management of the project. GP, AKG and INDICO collected samples and conducted the experiments. GP and AKG analysed and interpreted data. GP drafted the manuscript. DB and AB critically revised the manuscript and checked statistical procedures. DB and NT approved the final version of the manuscript. All authors read and approved the final manuscript. The online version of this article ( https://doi.org/10.1007/s12041-019-1065-6) contains supplementary material, which is available to authorized users. The authors are thankful to all the study participants and the members of INdian DIabetes COnsortium (INDICO) for their support in generation of data. This study was supported by grants provided by the Council of Scientific and Industrial Research (CSIR), Government of India through Centre for Cardiovascular and Metabolic Disease Research (CARDIOMED) project (Grant no. BSC0122-(13)). This study was also partially funded by the Department of Science and Technology, Government of India through PURSE II CDST/SR/PURSE PHASE II/11. GP and AKG acknowledge University Grants Commission (UGC), Government of India for Senior Research Fellowship.